ACBI is proud to announce our 2019 Earl Gould Memorial/ACBI Biennial National Conference: November 13th & 14th, 2019, at the Bolger Center, Potomac, MD. All reservation information to follow. New Officers Beginning February 1, 2019 announced in the Members Only Section. 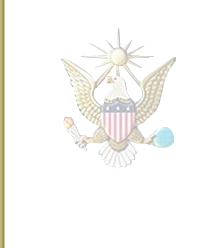 The Association of Certified Background Investigators, Inc. is a national, professional organization comprised of contract investigators who conduct national security background investigations for federal agencies of the United States Government, domestic and TDY overseas. Our mission is to develop and maintain liaison with contract companies and government agencies; to provide our membership with the earliest notice of potential contract opportunities; to assist contract companies and federal agencies in locating highly qualified investigators; to provide services on short notice for both short or a long term basis; to assist our membership in maintaining and enhancing their professional investigative skills and to provide a means for investigators to share information to better perform their duties throughout the United States and its possessions. If you are a representative of a contract company, federal agency or a private business firm, and you are searching for qualified investigators to fulfill your requirements, please contact us . You will get an immediate response from a member of this Board of Officers. A number of our members are licensed by their local states as private investigators. We maintain a list of those investigators in case we are called upon for such referrals. The Association of Certified Background Investigators, Inc. was founded on October 1, 2001 in Chantilly, Virginia and incorporated as a formal organization on March 7, 2003 in Maryland. The organization was founded by Earl Gould of the Washington D.C. Metropolitan Police Department. His co-founders were Kathy Pursel, Jason Armintrout, Stephanie Fink, Gary Lafferty, Jim Bordenet, Russell Standford and Grant Harmon. The organization was granted non-profit status based, Section 501 (c) (6), by the IRS on April 10, 2003. The original meeting was comprised of 31 background investigators in 2002. Our membership total today hovers around 500 active federal contract background investigators and the list continues to grow. Membership is open to any individual who is currently working, under contract, to conduct background investigations, directly for a government agency or through a contract company. 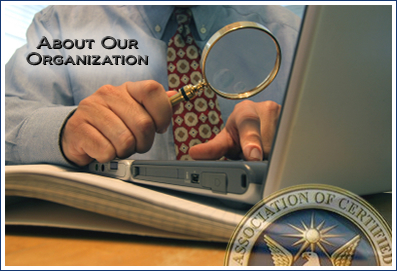 The Association of Certified Background Investigators offers our membership, networking with other investigators, early notification of potential contract opportunities, national conferences and problem resolution. If you wish to join our organization, fill out our membership application. Copyright © Association of Certified Background Investigators, Inc. All Rights Reserved. Custom Web Design by Griffin Web Design. Powered by DASH Systems, Inc.